Drive Uber or Lyft Taxi on H1B visa in USA? Can H1B drive Uber or Lyft? 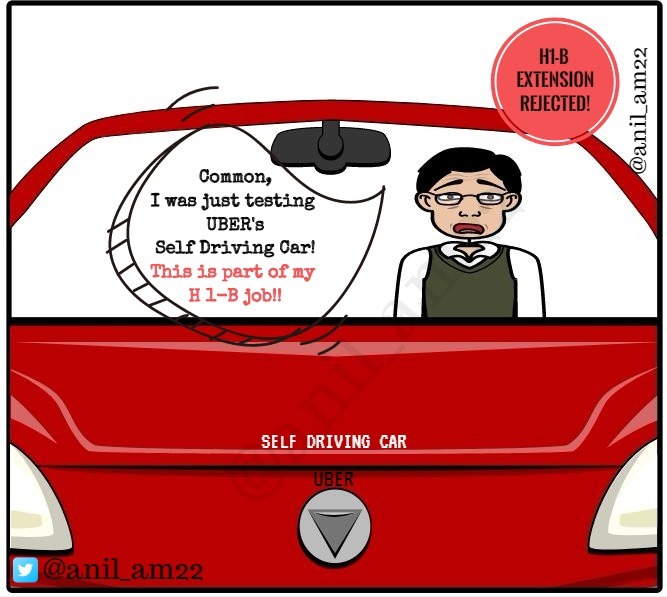 You CANNOT drive a taxi like Uber or Lyft while working on an H1B visa in USA. Your H1B visa is tied to your employer and you can only work for them. Doing any other work outside of your H1b job is not allowed, unless you receive a concurrent H1b for that work. Driving for Uber does not fall under the specialty category, that H1B visa demands, and you can’t really prove shortage of labor either, in car driving field. You can study full time while working on H1B though. You cannot drive Uber or Lyft on OPT or CPT or F1 visa. As a F1 student, you can only work if you are working in a job that has been authorized by CPT or OPT. Jobs for CPT and OPT have to be related to your major course of study. Driving for Uber is not going to qualify. Can I drive Uber – Lyft on H4-EAD or L2-EAD? H4 EAD can drive Uber or Lyft in USA. The same applied to L2 EAD. Employment authorization Document allows one to work in any industry and in any job including working in Walmart as a sales agent or cashier to driving Uber or working in McDonalds.